Burrowing Owl Estate Winery is located in the town of Oliver in the South Okanagan region of British Columbia. 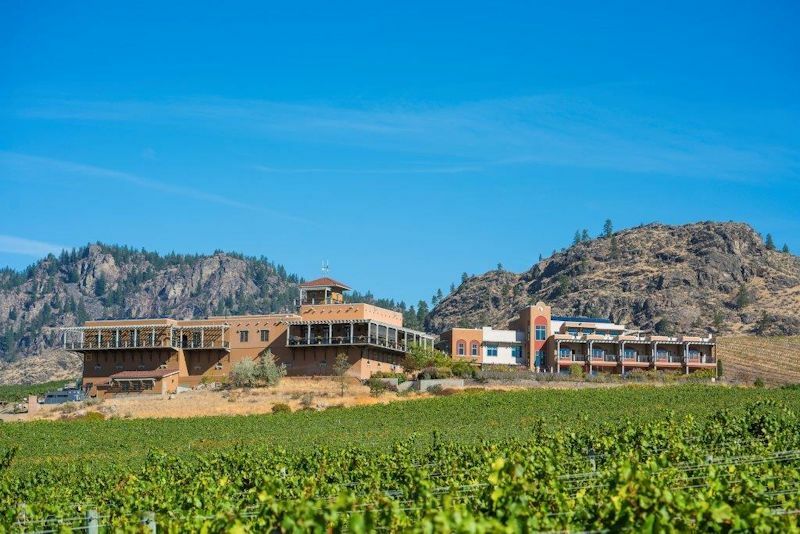 The winery has a majestic presence above the town of Oliver. 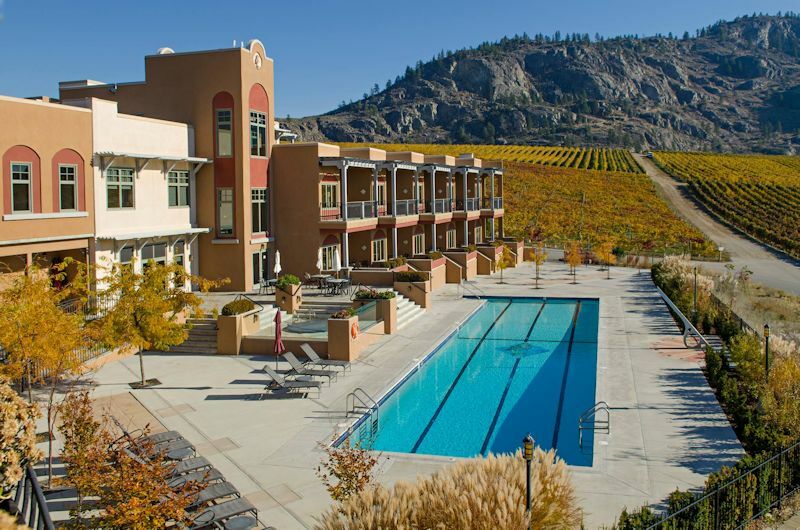 The location (on a southwest-tilting, sandy plateau) near the north end of Osoyoos Lake, is one of the most highly rated grape-growing locations in the Okanagan. Jim Wyse purchased the property in 1993 and replanted the vineyards. This property became the first 100 acres for Burrowing Owl Vineyards. Knowing relatively nothing about the grape and wine industry, Jim found good, experienced people to run the vineyard and eventually to make and market the wine. In his own words, his job was to monitor the costs, arrange the financing, write the cheques and make sure that all of this activity was making sense from a business point of view. The winery construction began in 1998. Burrowing Owl was one of the first wineries to add a dinning room. The philosophy of the talented culinary team at the Sonora Room Restaurant is to embrace the privilege and the opportunity to showcase many of the South Okanagan’s local producers with their array of local organic produce, fresh, seasonal fruits and artisan breads and cheeses. The focus is on excellence in a relaxed and spectacular vineyard setting. What made the winery so special was the quality of its wines. Burrowing Owl Estate Winery produced its first vintage in 1997, concentrating on four grape varieties from the 16 varieties grown at Burrowing Owl Vineyards – Cabernet Sauvignon and Merlot for red wines; Chardonnay and Pinot Gris for white. Cabernet Franc was added in 1998, Pinot Noir in 1999 and Syrah in 2000. The winery currently produces about 45,000 cases of wine. The winery owns and manages all of the vineyard land growing grapes for the Burrowing Owl wines. The land base consists of 210 acres of producing vineyards distributed between three different locations: Black Sage (the original 145 acre site) which contains an equal amount of red and white grapes, Osoyoos (54 acres on the eastern slopes above Osoyoos Lake, home to Bordeaux varietals and Syrah reds) and Keremeos (11 acres of Sauvignon Blanc in the Similkameen Valley). In total 16 varietals are grown and tended by a qualified and dedicated vineyard team. The winery’s relationship with the burrowing owl originated as the result of a happy coincidence. In the early 1990s, the Wyses decided to name their new vineyard in honour of the endangered bird when they learned of a failed government attempt to re-establish the owl in the area from a roadside sign. Only a few weeks later they read a front-page story in the Vancouver Sun newspaper that described the plight of the birds. They got in touch with Mike Mackintosh, then Director of the Stanley Park Zoo, who was appealing for funding to continue a captive breeding program, and became involved in the program as volunteers initially, and as the winery grew, so did the financial support. The winery’s relationship with the BOCS continues to this day. Visitors to Burrowing Owl’s Wine Shop are asked to make a minimum $5.00 donation, all of which goes directly to the BOCS. Burrowing Owl is moving forward with a major commitment to photovoltaic (PV or electrical) solar panels, that will produce clean/green electricity efficiently for the next 25 years.